I finally decided to write about this since I loveeee food. Yup, because I am such a foodie lover, I will never ever be skinny in my entire life. This is why I make sure I go for workout at least 3 to 4 times a week. I used to go to the gym for 5 to 6 times a week but the condition of my knee is degrading so I had to decrease my workout sessions. I solely workout not to lose weight, but to be able to enjoy all the good food. Lol. When my cousin from New Zealand visited Singapore about 2 years ago, she asked me this question. “How do Singaporeans stay slim?” There are so many choices of food available and restaurants are open all the way till midnight. There are restaurants that open 24 hours too. I am so used to have food readily available all the time. When I was in Switzerland, imagine my horror when the restaurants and shops closed by 6 pm. Gosh….what do people eat at night? 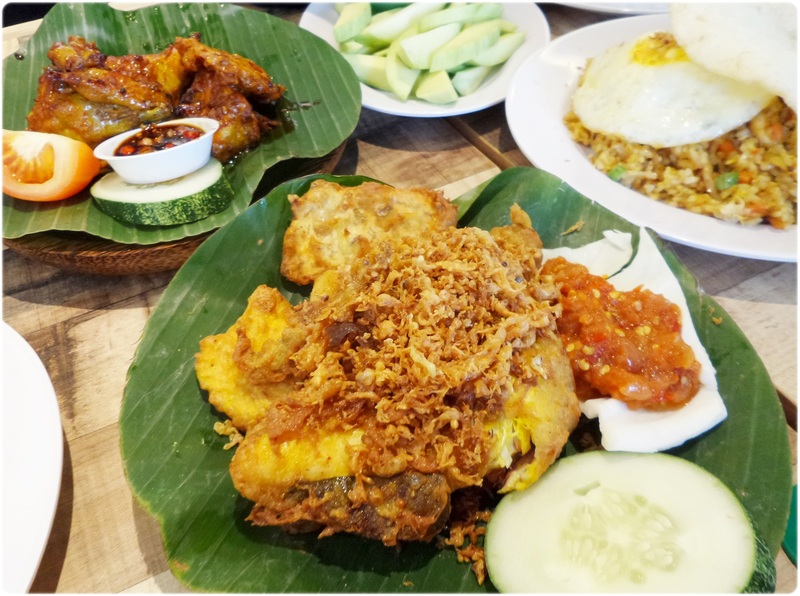 Therefore, if you are coming over to Singapore some time soon, let me give you a brief introduction of the food available in Singapore. 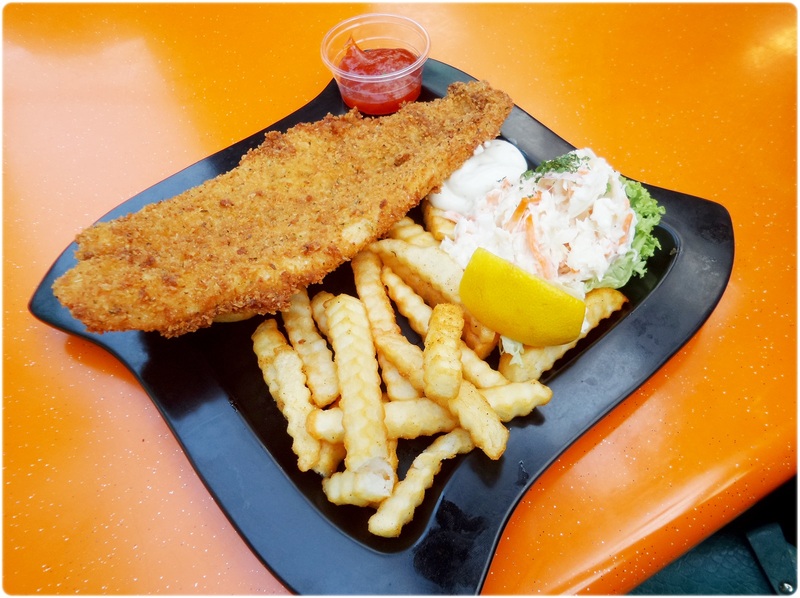 As Singapore is a multi cultiural country, we have a wide variety of food to choose from. Each race has their own variety of food and a typical Singaporean would have eaten food from all the different races by the time they are 10 years old. Let me categorize the food according the four main races in Singapore. The main population in Singapore is chinese. I personally love chinese food. There are so many choices to choose from and even though my choices are limited due to my halal preference, I still get to enjoy a quite a huge variety of chinese food. 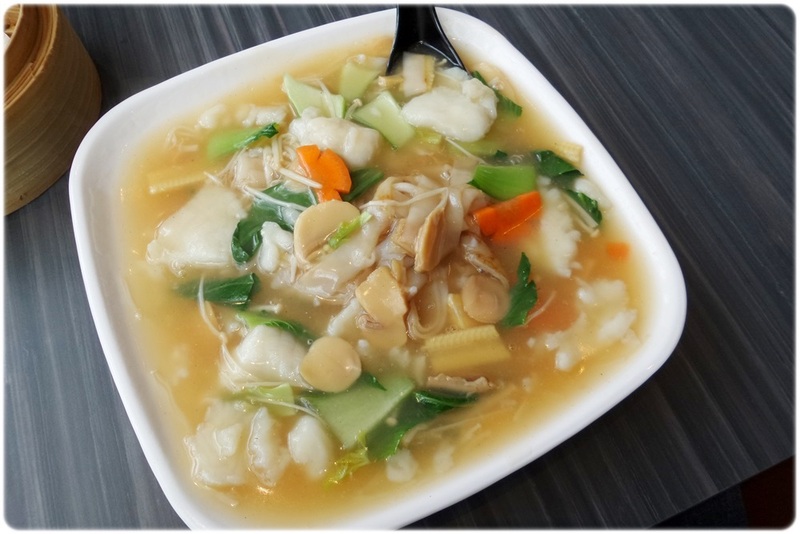 This is hor fun, a popular dish that I am sure you will love. 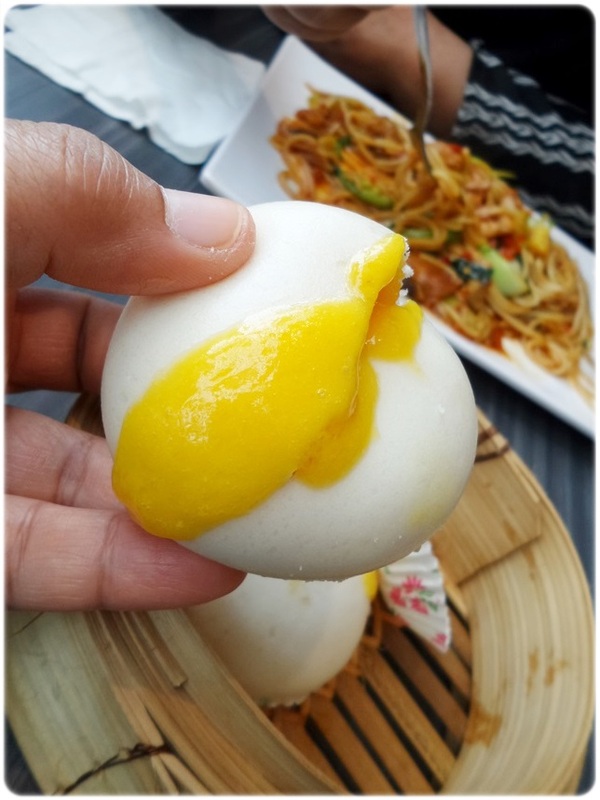 Salted egg yolk bun is one of the most delicious light snack I have ever tasted. This was so yummy I could cry. Halal chinese food can be found in many restaurants but my favourite is Streats Hong Kong cafe. Indian food can be found in any hawker centre. 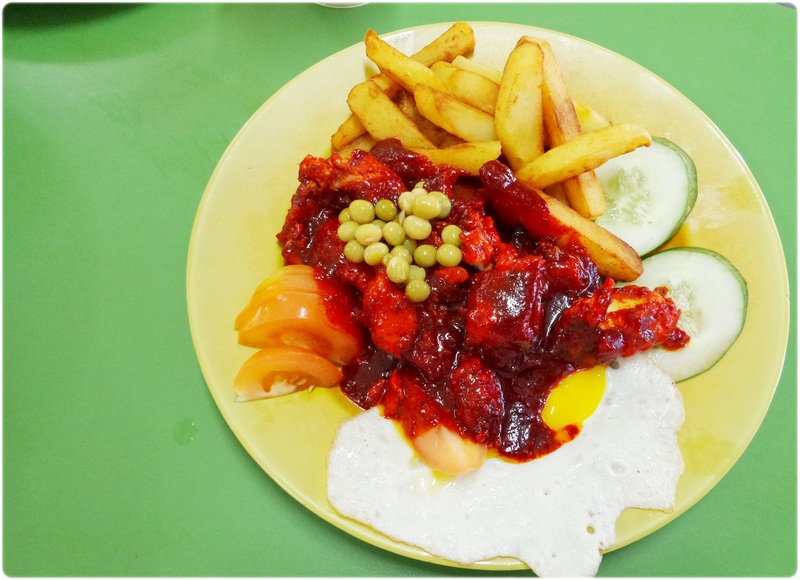 If you are looking for cheaper options, you can head to the stalls in hawker centres. How do you know if the stalls are popular and sells delicious food? When you can see a queue there. Most popular stalls in hawker centres attract people like bees to flowers and people are willing to queue. Generally Singaporeans are willing to queue for good food. That is how serious we are about food. If you have the chance to visit an Indian restaurant or stall, be sure to order the ‘teh tarik’ otherwise known as tea with milk. They also have ginger teh tarik and the unique taste will keep you coming back for more. 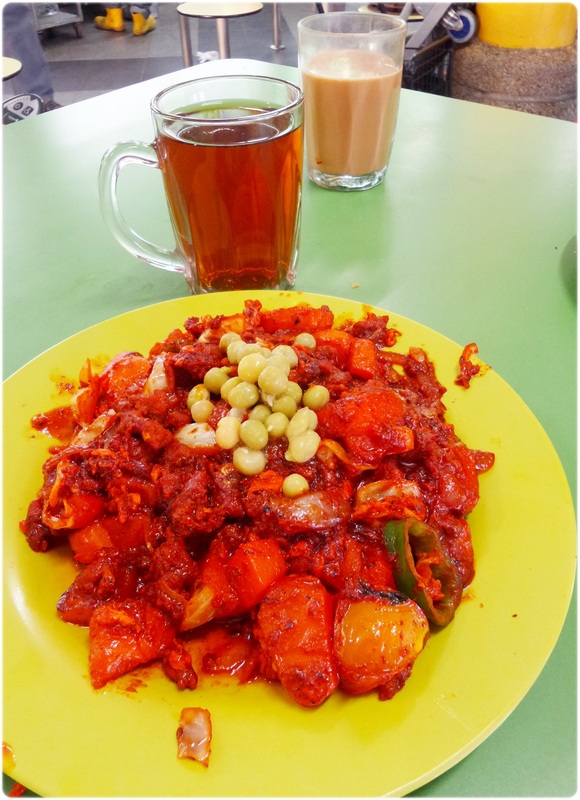 If you want to see a huge variety of indian food, you can always head down to ‘Little India’, at Serangoon Road near Mustaffa Centre. I am going to combine these two because there is a lot of similarities between malay and indonesian food. Since I am a malay, I think I can write a thick book about all about malay food. 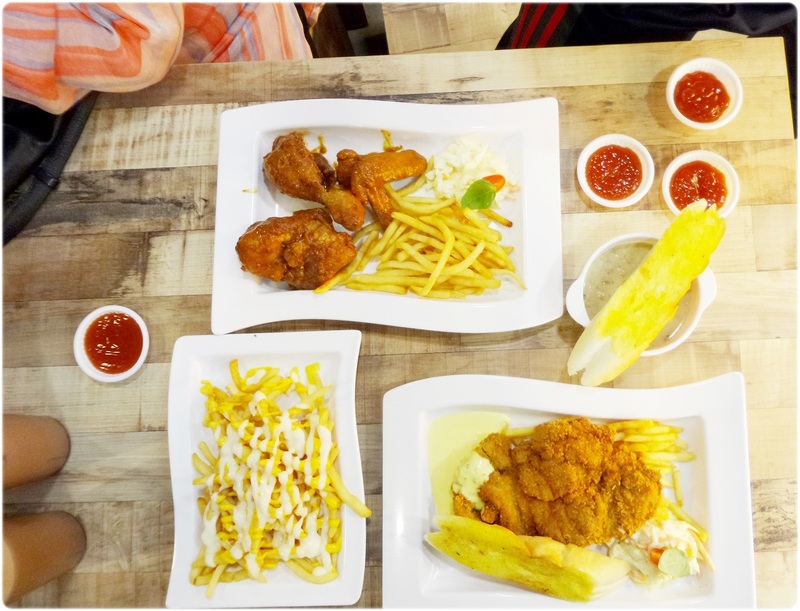 Last week I had the opportunity to try out a newly opened restaurant called Penyet Town in One Km Mall. You guessed it. Their speciality is ayam penyet! 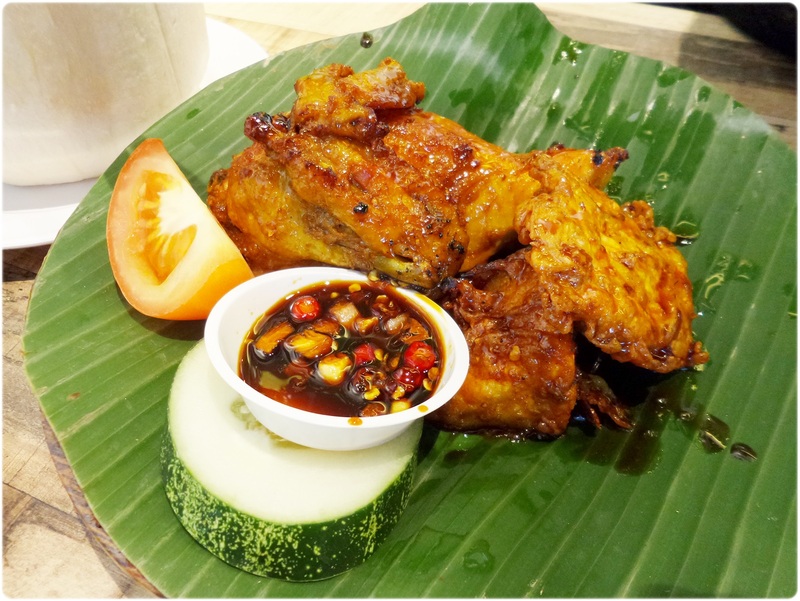 Ayam Penyet is fried chicken eaten with its spicy sauce along with tofu and tempe. They also had baked chicken. It was sweet and I love how marinated the chickens were. I especially love the sweet and spicy soy sauce. 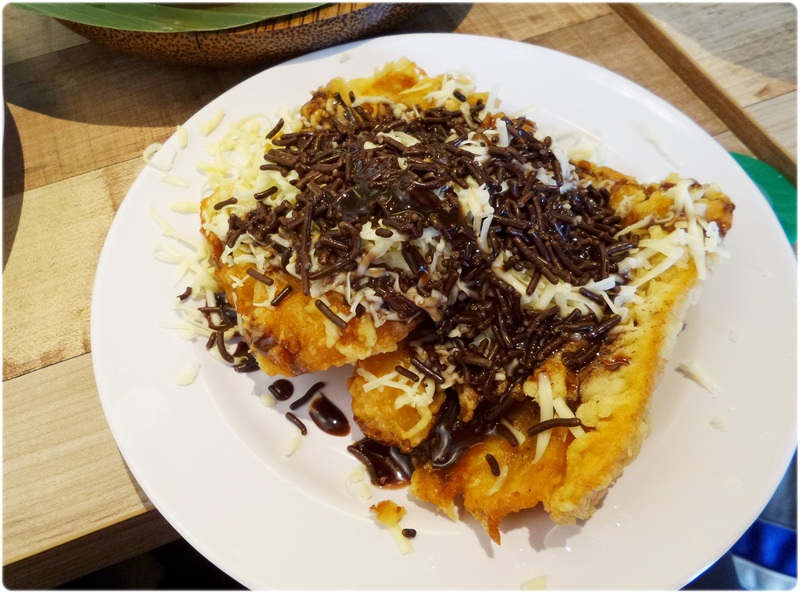 I saw this goreng pisang with cheese and chocolate rice and just had to order it. I have seen it before but I have never tasted one. Its fried banana fritters as dessert and I said goodbye to healthy diet before tucking in. Well it was worth it. Yes, even with all the local food options, we have western food available everywhere in case you find it hard to adjust your taste bud to the local food. This was also a newly opened restaurant in One KM mall. 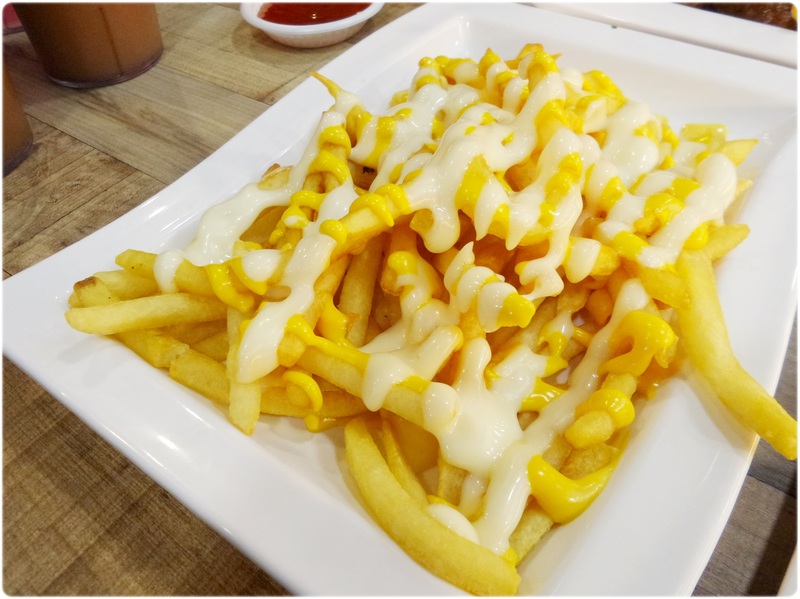 I love the cheese fries and how fattening. I simply could not resist eating it even though I know I would need at least 3 sessions of kickboxing to burn it all off. Lol. 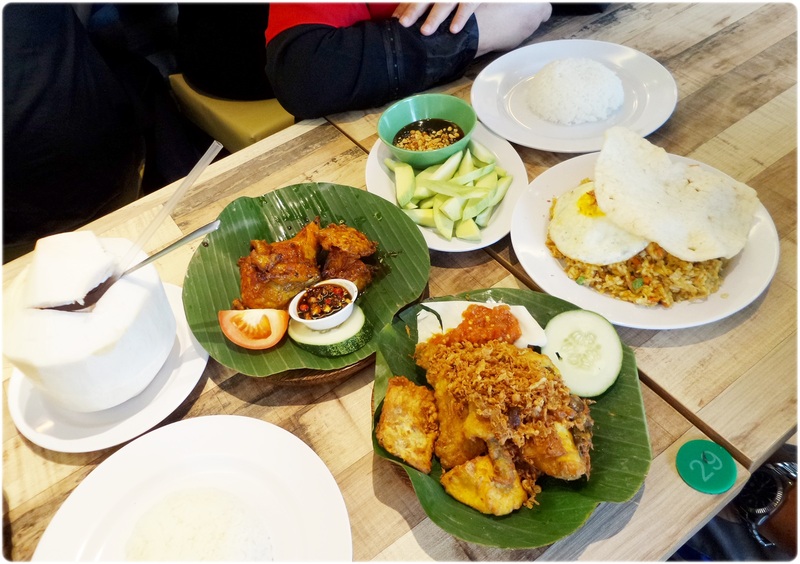 There are places that have all the different types of food.One such place is Simpang Bedok. The food is cheap and there is a huge variety of food. You will be spoilt for choices. You will eating in open space so I would recommend you go in the evening or night so that its cooler. One of their more popular food is this. 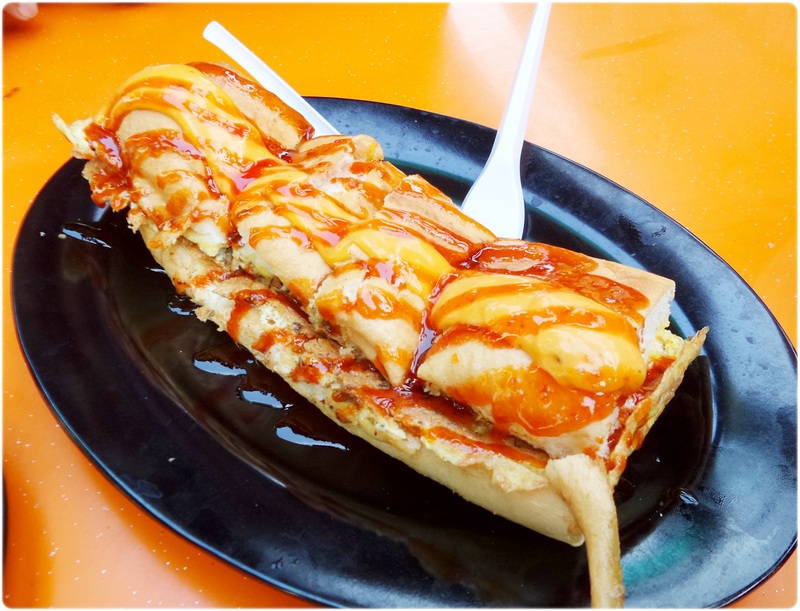 Chicken or beef roti john with cheese. The Bedok Marketplace at 348 Bedok Road, Simpang Bedok, opens from noon to midnight daily. I hope i gave you enough reasons to stop by Singapore in your next trip. We have no natural resources, no mountains, no rivers, valleys but we do have hardworking people and great food. I will be posting more next time, or you can head to your right and click on the ‘Life in Singapore: Singapore Foodie’ to read more about the other great places to eat. For now, let’s eat nom nom nom!